Any article with “zombie deer” in its title could definitely cause someone to reconsider a venison roast for dinner. This week, NPR’s The Salt reported on a Canadian study that sparked concerns that chronic wasting disease (CWD), a transmissible nervous system disease that affects certain wildlife, could be transferred to humans. But some wildlife authorities and deer farmers question the study, and say that venison you’d be served at a restaurant is completely safe. “If you’re talking about the production of venison, what you get in a restaurant or jerky from a gas station; that comes from monitored herds. 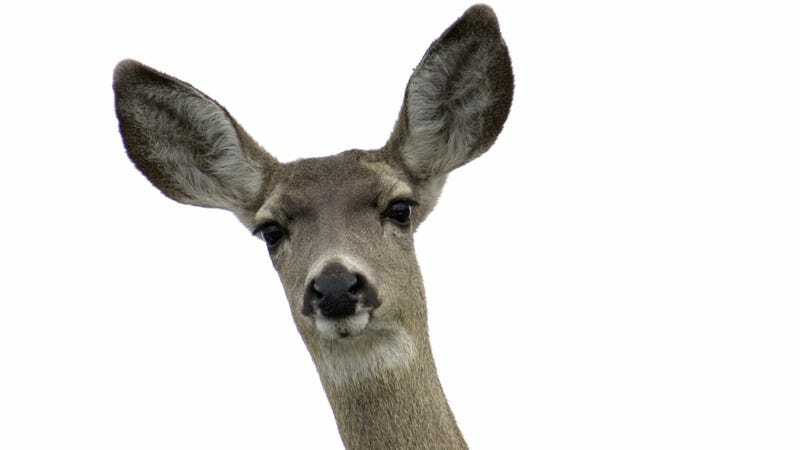 There should be zero risk there,” Shawn Schafer, executive director of the North American Deer Farmers Association, tells The Takeout. He also questions the validity of the Canadian study referenced by NPR and other outlets. The study, led by a researcher with the Canadian Food Inspection Agency, is summarized here, though its full text is not online. The study caused alarm because of its finding that macaque monkeys became infected after eating the brains of deer infected with CWD. Chronic wasting disease is currently thought only to affect deer, elk, moose, and reindeer and has not been proven to “species jump” to humans. “While most research shows there’s a robust species barrier, this recent study showed that barrier might not be quite as robust as we once thought,” Matt Dunfee, head of the Chronic Wasting Disease Alliance, told NPR. Although venison farmers insist their animals are completely healthy, chronic wasting disease is also a concern for hunters. Centers For Disease Control protocol suggests that, as a precaution, hunters not eat meat from animals known to be sick, and to send meat that could be from a sick animal for testing. “What we’re telling hunters is to take precautions when they’re field dressing their animals: long sleeves, eye protection, gloves. If they have any concerns at all, the best way to alleviate those concerns is to have their animal tested,” Greg Lemon, a spokesman for the Montana Fish, Wildlife & Parks department, tells The Takeout. Montana joins 23 other states where animals have also tested positive for CWD. “The next point we make is that CWD has not been shown to infect humans, so there’s no evidence that people eating CWD-positive meat would become infected,” he says. He adds that if a hunter kills an animal in one of the areas where FWP is conducting a “priority surveillance program,” the agency will assume responsibility for testing the animal for CWD by sending a sample of it to a lab at Colorado State University.